Trinidad Cent Hummingbird Necklace, sterling silver coin mount, 18" sterling silver chain. 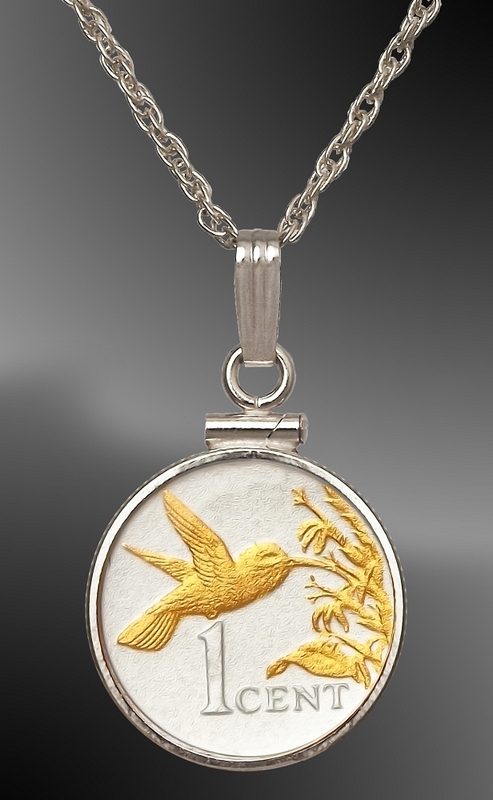 This necklace features a 1 cent coin from the Republic of Trinidad and Tobago. The hummingbird design pays homage to the 17 different species of beautiful hummingbirds found on the islands. The coin is enhanced with our extreme precision 24K gold accents on silver plate AureTone™ finish. 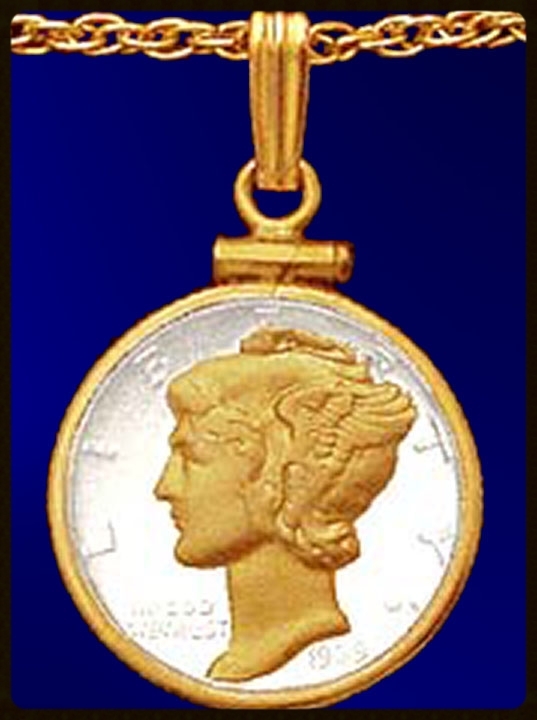 Fitted in a high quality sterling silver coin mount and hung on an 18" sterling silver chain. Uniquely numbered signet, certificate of authenticity and lifetime warranty against defect.